On Monday, Kurt Darren sang our national anthem at the FNB Varsity Cup - but things did not go as planned. 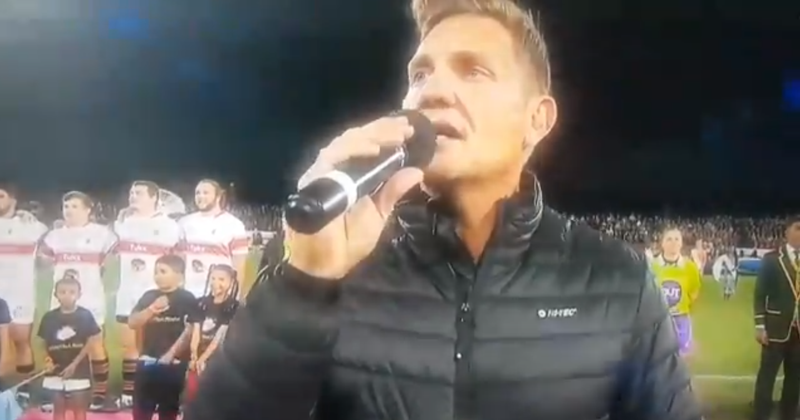 The 49-year-old singer made headlines on Monday night after he was asked to sing the national anthem at the final of the FNB Varsity Cup between Maties and Tuks at the Danie Craven Stadium in Stellenbosch. Some fans on social media weren’t too fond of Darren’s rendition, dubbing it an insult, while others urged him to memorise the words of the song. Breakfast with Martin Bester invited Kurt Darren on air to find out what happened. ALSO READ: The #MilesForAMillion team have raised more than a million! Darren mentioned that he takes full responsibility for what happened, but he 'only got a few words wrong'. Kurt had to perform without any music and had to sing the anthem as acapella. "It is a small issue, but now people make it into a massive issue," Darren said. He added that he would never intentionally mess up the national anthem.